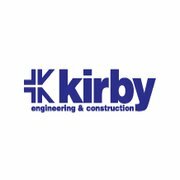 We’re delighted to welcome Kirby Engineering & Construction to Jobs Expo 2015. At Kirby Group we excel at project delivery. We provide six core services; Electrical, Mechanical, Controls & Instrumentation, Power, Data Technologies, and Design & Engineering. Our expertise includes services installations in the following sectors. Our corporate vision states “We aspire to be the most trusted provider of high value engineering and installation solutions”. Achievement of this status will only occur if we stay true to the values which we claim to embrace. These are stated below and need to be the values by which we operate. S – Safety – first and foremost for everyone affected by our operations. E – Excellence – to meet and exceed our client’s expectations every time. R – Relationships – building long term relationships based on trust and respect. V – Value – consistently delivering high value for our client’s money. C – Commitment – to empower our people to be the very best they can be. E – Environment – embracing sustainability through innovative engineering and installation solutions. Working towards achieving our vision and maintaining our culture and values will be instrumental in achieving our targets and objectives for the next 3 years and beyond. Visit Kirby Engineering & Construction’s website to find out more.